I received a review copy from the publisher via Netgalley in exchange for an honest review. This does not affect my review and all opinions are my own. Archaeologist Dr Elizabeth Pimms thoroughly enjoys digging up old skeletons. But when she is called home from Egypt after a family loss, she has to sacrifice her passions for the sake of those around her. Attempting to settle into her new role as a librarian, while also missing her boyfriend, Elizabeth is distracted from her woes by a new mystery: a royal Olmec cemetery, discovered deep in the Mexican jungle, with a 3000-year-old ballplayer who just might be a woman. She soon discovers there are more skeletons to deal with than those covered in dirt and dust. 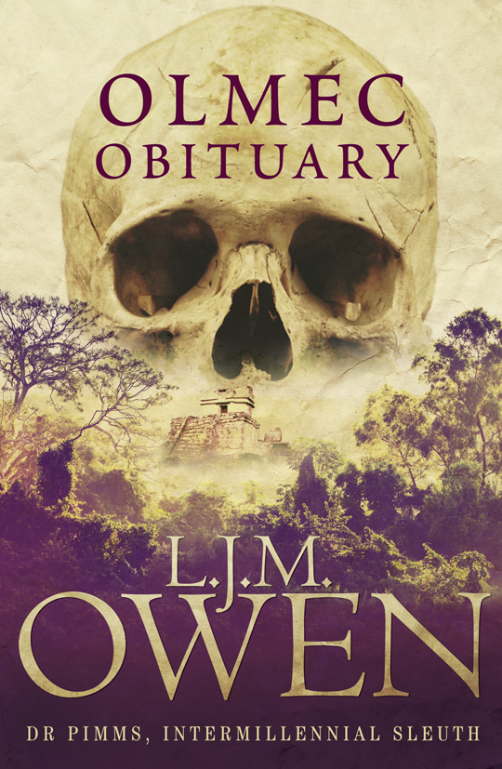 Suitable for readers young and old, Olmec Obituary is the first novel in a delightful cosy crime series: Dr Pimms, Intermillennial Sleuth. Really cold cases. 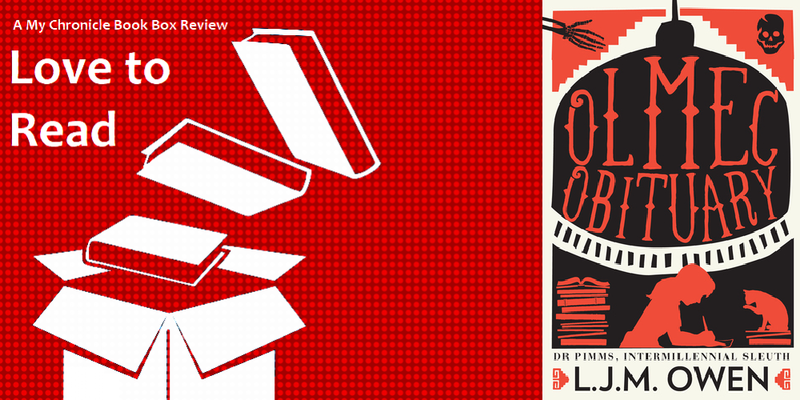 As soon as I read the tag line – Dr Pimms, Intermillenial Sleuth, I wanted to read this book and the publishers were kind enough to provide me with a copy in exchange for an honest review. Dr Elizabeth Pimms is a brilliant young woman at the beginning of her archaeological career when the sudden and unexpected death of her father pulls her from her boyfriend and her Egyptian dig site and back home to Canberra, Australia. This is an emotional time for Elizabeth as she deals with the loss of her father and the job she loves. She re-trains as a librarian, as her father and grandfather were before her, but her heart is not in it. All archaeology may not be lost to her however as a she is asked to analyse human remains on a volunteer basis from a Mesoamerican cemetery site in Mexico. It may not be Egyptology, Elizabeth’s first love, but it becomes clear that Elizabeth has a mystery on her hands with this unusual group of skeletons and also those that discovered them. Ix by contrast is a mother of four girls in 1231BCE and a talented player of the brutal ball game popular with the Olmec people of Mesoamerica at the time. As Elizabeth’s analysis progresses so does the story of Ix and her family until we find out what ultimately happened to them. This dual aspect to the novel meant that I was not only engaged by Elizabeth but also by Ix and her Olmec family, I wanted to know what had happened to them, what tragedy had struck these ancient people and how Elizabeth was going to get to the bottom of it. Elizabeth is not alone in Canberra; she lives with her brother, sister and her three living grandparents and makes new friends at the library and the university where she volunteers. These supporting characters were well crafted and I am looking forward to seeing them and the relationships further developed in the next in the series Mayan Mendacity. This was an intelligent read with a couple of good mysteries woven within it and engaging characters. I may be biased as I have something of an interest in archaeology and science (I confess I’m a chemistry and geology graduate) but I also enjoyed the historical and scientific detail contained in it. I love to learn from books as I have done in this one and look forward to reading more by this author.